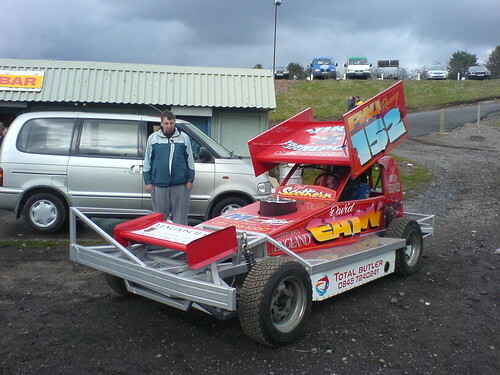 Neil Scothern appeared at Hednesford yesterday to demonstrate his BriSCA F1 to the large Easter Bank Holiday crowd, hopefully enticing a few to come along for next weekend's big stock car event at the raceway. Available in a WH Smith store near you! 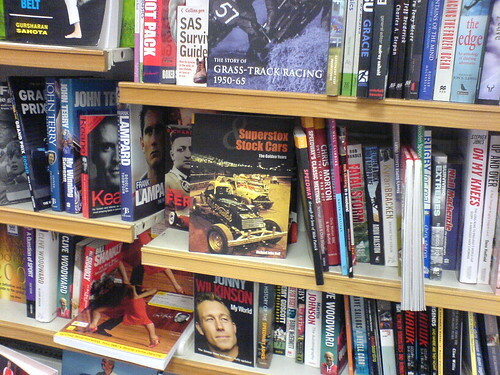 Spotted in a branch of WH Smith's in Birmingham a copy of Richard John Neil's excellent book entitled Superstox Stock Cars The Golden Years. Now there's no excuse not to help this book into the best seller listings!